A couple weeks ago I began a new blog series about starting an online shop. First I talked about some different types of websites you could start to have your shop. From having a free blogshop, to a premium shop on an ecommerce platform. Click here to read the first post. The next post covered another option for an online shop, being part of an online marketplace. I outlined some of the options I have used and the pros and cons. Click here to read that post. Once you have already decided on your shop’s platform, you need to start setting up and stocking your shop! Before you start, this might seem like an intimidating part, but once you have worked with one or two companies, it actually is very easy! *NOTE* BEFORE going further with your plan, you MUST have a retail business license. Depending on where you live, the laws for this differ. Here in Malaysia it was very inexpensive to get a basic business license. You NEED to have a license to both legally sell the supplies, and to even get the supplies. Companies will almost always need to see your business license in order to sell you wholesale supplies. 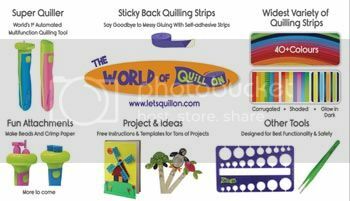 Firstly, I noticed that the Quilled Creations website (one of the big quilling supply manufacturers) had a tab on the top of their page to click for wholesale information. When I had already set up my website and gotten my business license, I contacted them. From there it was just a matter of filling out a couple simple forms and making my first order. How exciting! Not all companies have their wholesale information set out for everyone to easily see. Sometimes you need to ask! 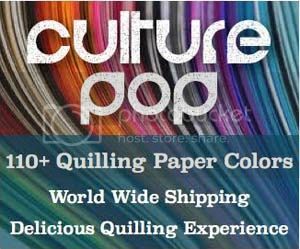 I wanted to also carry the Lake City Craft brand of quilling supplies, as I use them all the time with my own quilling and I really like them. They did not have a page with any info on their site about wholesale, so I simply emailed them and asked. They were happy to send me the information. Again I filled out a couple forms and was on my way to making more supply orders. Each company has different terms for their wholesale orders. There is usually a minimum order dollar amount. Sometimes you also have order a minimum quantity of each item. Some companies have large minimum dollar amounts per year that you have to order to keep the wholesale account. I find that the smaller companies have easier to reach minimums. There are quite large suppliers such as Darice, and really huge suppliers like Dollar Days that have a much wider selection of fun products, but the minimums you need are much higher. As you decide what products you would like to offer in your store, just contact each one and ask for their wholesale terms. Companies that offer wholesale are more than happy to make more sales, so they will quickly get back to you with the information. Occasionally you will find a company that does not offer wholesale, or you are not ready to meet their minimum requirements. Just move on and see what else you can offer in your store. There are plenty of wholesale suppliers out there to choose from! This was a pretty simple post, but it really is that easy to start ordering wholesale supplies. If you have any questions, feel free to ask in the comments and I’ll be sure to answer! In the next post of the series I will talk about how to deal with pricing of your goods, specifically when you are ordering suppliers from overseas. I hope It’s not a silly question…Do we need to have a retail license to sell our creations/jewellery or it’s only for the supplies?